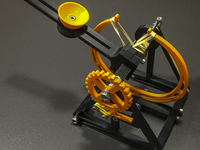 6-axis RoboArm Sirius by Diego_RSDesign_ is licensed under the Creative Commons - Attribution - Non-Commercial license. 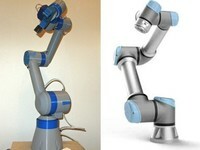 The model of the 6-axis robotic arm "SIRIUS" was made by the pupils of the 11th form of the School No. 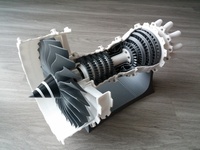 1363 of the city of Moscow within the framework of the city competition 3DBoom2018 and received the first prize. The robot uses stepper motors Nema23, Nema17, Nema11. Management through Arduino Mega 2560, drivers TB6560. 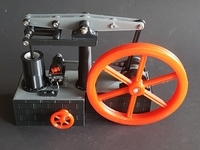 Say thanks by giving Diego_RSDesign_ a tip and help them continue to share amazing Things with the Thingiverse community. We're sure Diego_RSDesign_ would love a Tip, but unfortunately they have not setup their accounts to receive them yet.